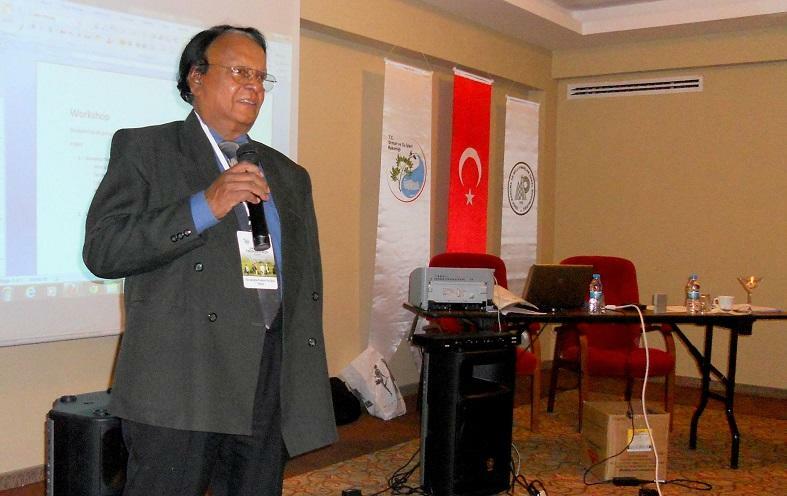 This interview with Palitha Gurusinghe of the Sri Lanka Ecotourism Foundation (SLEF) is part of our Asian Ecotourism Network (AEN) series. Palitha gives us a glimpse into the current state of ecotourism in Sri Lanka, its triumphs and challenges. He explains SLEF’s mission and vision, and how the organization works tirelessly to ensure the development and promotion of sustainable tourism in Sri Lanka. We will also learn about the importance of tourism in fighting rural abandonment and how sustainable tourism, both in Sri Lanka and worldwide, is dependent on the education of current and future stakeholders for it’s continued survival and prosperity. Advice for those wanting to enter the sustainable tourism industry in Sri Lanka/Asia. 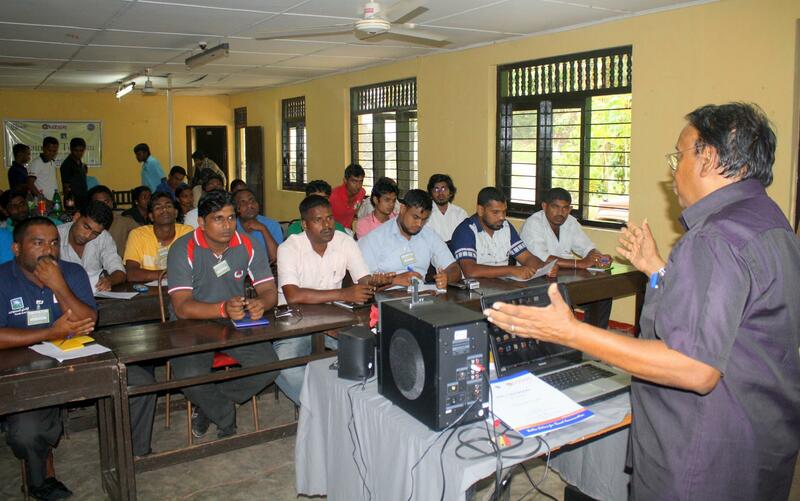 Palitha, do you remember your view of sustainable tourism when you first began your professional career? Yes, it was in 1998 when we first founded the Sri Lanka Ecotourism Foundation (SLEF), the pioneer national ecotourism society in Sri Lanka. Before that, I was actively engaged in mainstream tourism, well over 18 years. Over the years, I realized mainstream tourism would not contribute to ensure economic and social benefits to the communities. Now in 2016, how much of that view is still there? What has changed? The focus/views are still the same. That has been our mission/vision since the inception of SLEF. The foundation focuses on the economic and social development of rural communities through tourism. How does SLEF address issues of climate change and challenges relating to sustainable energies? Climate change is a key factor and has already begun to transform life on Earth. SLEF thinks the global community needs to take immediate action to curb the threats which otherwise would catastrophically damage our world. The world community should rally to be a part of the solution; together, we will have the power to restrict the damage. Communities whose people are living in poverty find their young people migrating to urban centers. How does implementing sustainable tourism prevent this urban drift and provide people with an alternative income? SLEF is of the view that if the rural community is provided with alternative livelihood and income, they will opt to stay in their villages rather than migrating to the cities and other countries in search of greener pastures, risking their lives and the lives of their families in the process (for example emigrating to Middle Eastern countries in search of labor opportunities). SLEF has been awarded and recognized for its outstanding contribution to tourism in Sri Lanka. How do these awards impact your work, and how do they help position Sri Lanka as a sustainable tourism destination? These achievements are a triumph for ecotourism and sustainable tourism development in Sri Lanka. These awards reward the organizations and individuals for their excellence and inspired achievements whilst contributing to the strengthening and empowering of the nation’s sustainable tourism industry. These annual events, organized under the aegis of Sri Lanka Tourism, provide an important platform for industry recognition. These accolades also present an opportunity for tourism operators to reinforce their commitment to creating an optimal visitor experience and celebrate their success in an evolving business environment. Between 2011 and 2016, these awards contributed greatly to creating a good image of SLEF on an international, regional, and national level. SLEF is of the view that these important awards have certainly contributed in positioning Sri Lanka as an ecotourism destination in the Asia-Pacific Region. At the same time, these achievements help SLEF further extend our support for the poor communities living around the tourism-generating areas in Sri Lanka and sharing in the tourism income. Your thoughts on the current state of sustainable tourism in Sri Lanka? 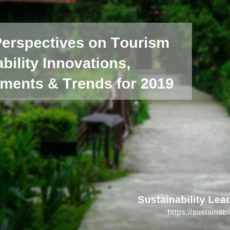 Sustainable Tourism in Sri Lanka is on the development path but needs the support of state organizations such as the Ministry of Tourism, Sri Lanka Tourism Development Authority (SLTDA), etc. The NTOs are mainly supporting the mainstream tourism sector in Sri Lanka and, more or less, they are focusing on ‘volume’ instead of ‘value’. However, international organizations such as the European Union, Australian Aid, International Labour Organization (ILO), and local organizations such as Department of Coast Conservation and Coastal Resource Management in association with Global Environment Facility (GEF) and IFAD are helping SLEF develop sustainable tourism programs in war-torn areas in the eastern and northern provinces of Sri Lanka. Amidst a lot of challenges, SLEF is marching forward to achieve its sustainability goals, initiated at its inception in 1998. What advice would you give young Asian/Sri Lanka professionals interested in a career focused on sustainable tourism? SLEF is of the view that education of sustainable tourism and related training and research programs should be considered as the most important, as far as the future development of ecotourism and sustainable tourism is concerned. Education of tourism industry operators, their customers and the wider community is an essential but often overlooked component of sustainable tourism. In the race to develop new tourism products and services in natural areas, it is often marketing infrastructure and management that receives priority and the development of educational programs is an afterthought. 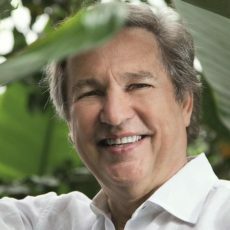 The potential to use the vastly expanding knowledge that we have in regards to natural and human systems in educational programs for ecotourism is not only important but essential to long-term sustainability. Any attempt to implement sustainable tourism practices that do not incorporate educational programs would be self-defeating. Future generations of ecotourists will need to be aware of environmental considerations not only when on holiday but also in their daily lives. In this regard, I am pleased to note that the young generation in Sri Lanka that work in tourism and look forward to embarking on new tourism ventures are interested in widening their horizons in sustainable tourism, ecotourism and related fields. SLEF is the only ecotourism organization in Sri Lanka that is conducting Ecotourism and Sustainable Tourism Online Programs, Ecotourism Business Development Programs (EBD) and the National Sustainable Tourism Certification (NSTC) for the Small and Medium Enterprises (SMEs) of tourism sector in Sri Lanka. Most of these programs are tailor-made to offer knowledge-based tourism education to travel and tourism marketing/planning executives and decision makers, adventure and nature-based tour operators, team building experts and operators, university students, teachers, researchers, architects, landscape designers, practicing national tour guides, national chauffer guides, area and site tour guides, those interested in tour guiding and interpretation, hotel/guest house/restaurants/eco-lodge owners and staff, those who wish to gather knowledge and share experience in developing their own properties for ecotourism businesses, travel journalists, managers and executives of national parks and protected areas, and those interested in widening their horizons in sustainable and ecotourism. At present, the above study programs are progressing very successfully, with candidates enrolling on a regular basis. From a Sri Lanka perspective, what is sustainability/sustainable tourism all about? Which aspects are the most important? In short, many state tourism organizations talk about the development of sustainable tourism in Sri Lanka, but when it comes to practice those become mere words. 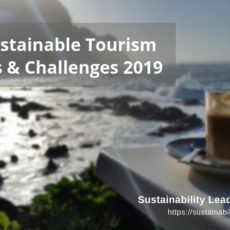 As far as the mainstream hotel and tour operators are concerned, they too talk about sustainable tourism but just for their survival and business interests. On the pretext of practicing sustainable tourism, what most of the mainstream tour operators and travel agents do in Sri Lanka is just ‘Green Washing’ and exploiting the natural resources and rights of the community. For more information, visit the Sri Lanka Ecotourism Foundation website. Enjoyed our interview with Palitha Gurusinghe on the Sri Lanka Ecotourism Foundation and sustainable tourism in Sri Lanka? Share and spread the word!